Add some fun to your basement hangout, dorm room, or bedroom with this super comfy bean bag chair! 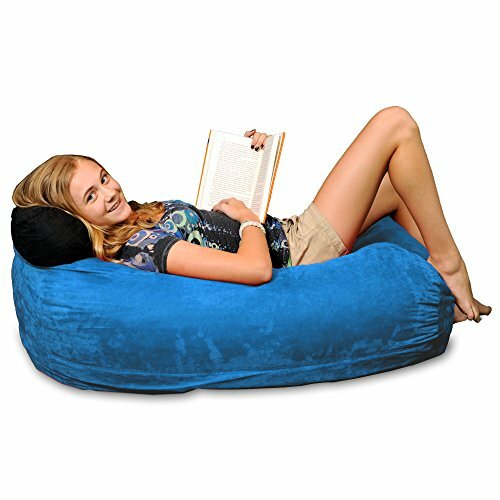 The 4 foot Chill Sack Lounger is ideal for kids, teenagers, and college students. Use it while watching your favorite movies, tv shows, or while playing your favorite game. Chill Sack is the ideal bean bag sofa for kids and teenagers. The bean bag measures 48" x 22" x 22" and is just the right size for relaxing in any room: large enough to watch a movie but small enough to move from room to room. - Dimensions: 48" x 22" x 22"